If you’re in a content business, you will understand the hardship of monetizing your content. After growing a strong user base, some Chinese startups have shown that Chinese consumers are willing to pay for content, as highlighted in China Tech Insights’ Trends & Predictions for China’s Tech Industry in 2017. With the boom of internet celebrities (also known as wanghong, 网红) and we-media, the next community in China will be created around content producers. As top content creators get funding and co-working spaces for content creators are beginning to emerge, this will spur more content creators working on their own in China. Another trend is that Chinese people are seeking to achieve self-improvement. China Tech Insights’ survey shows that people show interest in personalized consulting and find a genuine need for it, which brought paid consultation service like Zaihang. 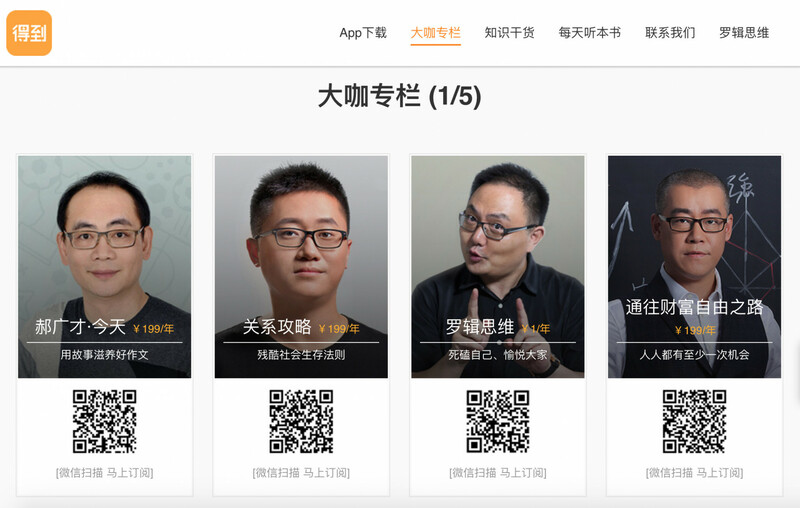 Zhihu Live, launched in May 2016, features live sessions held within Zhihu’s app where users pay to get in and speakers deliver their expertise via voice messages. On Zhihu Live, you can see a list of people putting up their live streaming sessions such as “How to do SEO on the app store” and “How to design PPT slides easily”. Fenda, launched in May 2016, gained a large flock of users since its launch, as it invited internet celebrities like Wang Sicong, the son of China’s richest person Wang Jianlin, to appear on the platform. 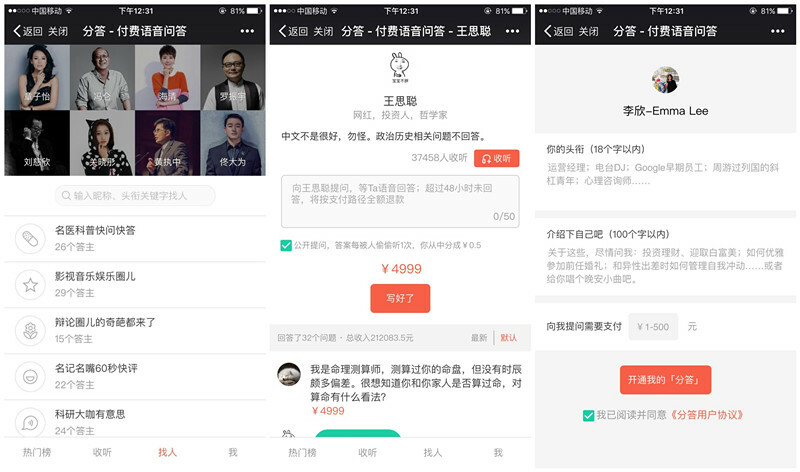 Fenda is a WeChat public account that enables users to pay to ask celebrities questions and get voice responses from the celebrities. Users are charged to be able to listen and both the celebrity and the person who raised the question earn money when the question is answered. 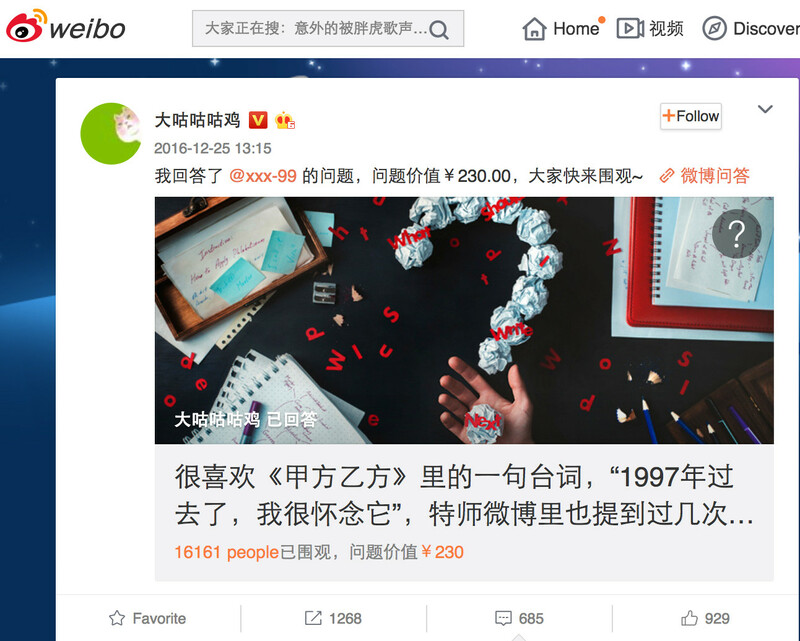 Weibo Q&A, launched in December 2016, provided an instant monetization tool for key opinion leaders (KOLs) on social media. KOLs on Weibo can set the price for their answers and users who are willing to pay the price to get to ask the questions that interest them; celebrities then write an article as a response. On the upper screenshot, you can see that 16161 people paid RMB 230 to read a KOL’s article on Weibo. 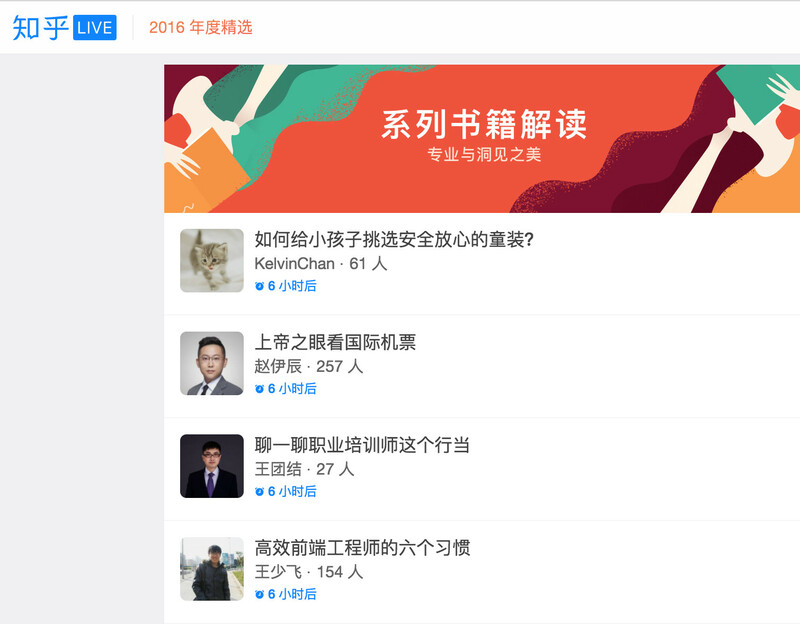 Weibo also started its Weibo Live function which had helped the company restore its rank to 3rd among top 10 social networks in China. KOLs on Dedao. Luojisiwei on the third picture. On Dedao, KOLs are invited as columnists and users pay to subscribe to their accounts. 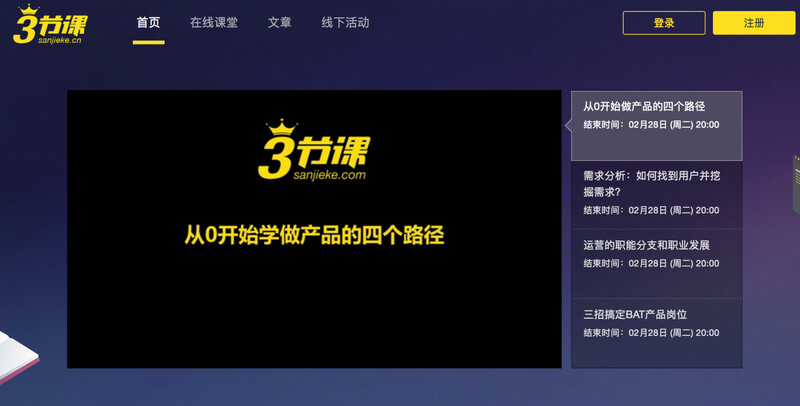 One of the renowned KOL on Dedao is Luojisiwei, a talk show brand with a valuation of RMB 1.32 billion as of October 2015. Luojisiwei, which means “logical thinking” in Chinese, is an online talk show brand covering social issues hosted by Luo Zhenyu. The app explains, by subscribing on Dedao, the user can get Luojisiwei’s one minute morning recorded message every day, and get access to all new daily sessions of Luojisiwei. On Himalaya FM, users can pay for a yearly subscription to accounts that provide paid audio content. The company has struck deals with huge content providers, that could give a huge boost to its paid audio content. Of course, there are many radio services available in China that provide their audio content for free, such as Qingting, Qier, Kw Tingshu, Lychee, Oxygen Tingshu, and Koala. But Himalaya FM beats other radio players with 1.428% weekly active penetration rate, which triples that of the second player, Lazy Audiobook in Q4 2016 based on 2016 China App Rankings released by Cheetah Lab. Himalaya’s fandom attributes to its success of its “Knowledge Carnival (123知识狂欢姐)” held in the beginning of December, gathering hundreds of online celebrities for a one-day event which earned a record RMB 2 million in sales. Launched in March 2015, Zaihang (在行 or “in the industry” in English) allows users to book online or offline consultation by paying for a set price by experts. One example, above, is a tech journalist that gives an hour consultation to those who are considering to start their internet company. She charges RMB 400 for a one-hour consultation. 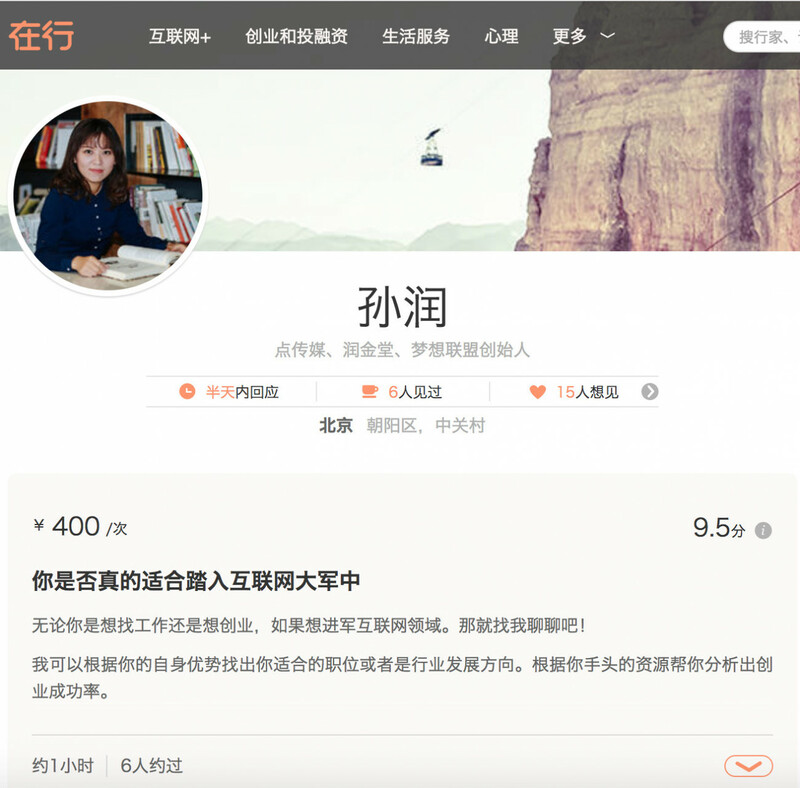 Launched in January 2016, Sanjieke (3节课 or “three classes” in English) provides online classes to users who mainly want to work in the tech industry. They can pay to access online classes launched by tech professionals. Sanjieke also gives scholarships to its hard working students up to 50% of their class registration fee. 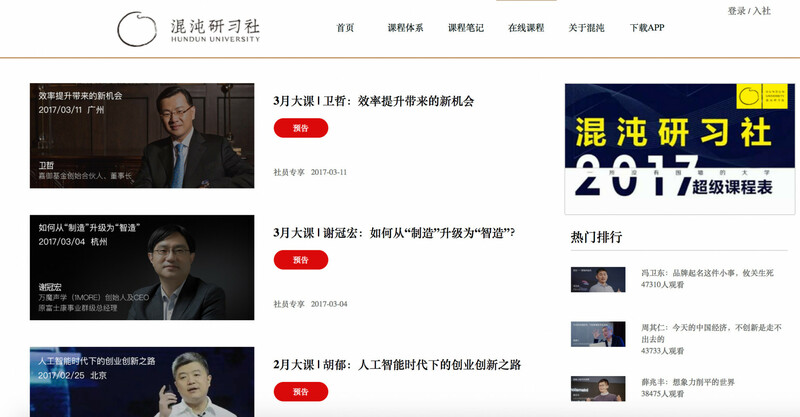 Launched in December 2015, Disruptive Innovation University (混沌大学, hundun daxue) allows users to access member-only regularly-scheduled classes every week by paying a yearly fee of RMB 1,000. The university has assigned CEOs, partners from investment firms and scholars who give speeches based on the developmental goals of their entrepreneurship journey. For example, students go through sessions on “economic trends and insights” in January, and “disruption and reconstruction of industries” on March.